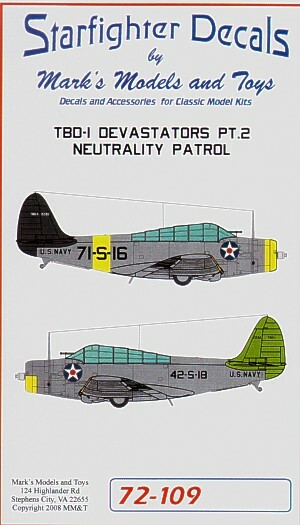 Douglas TBD-1 'Devastator' Neutrality Patrol Part 2 (2) 71=5-16 VS-71 USS Wasp 1940 black tail; 42-S-18 VS-42 USS Ranger 1941 green tail, both silver fuselage/yellow wings. 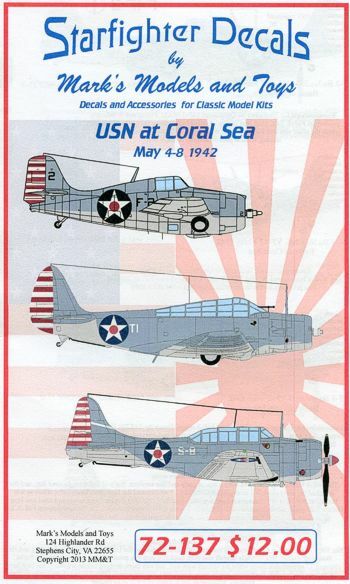 USN at Coral Sea Decals for 10 different aircraft that saw combat at the Battle of Coral sea. 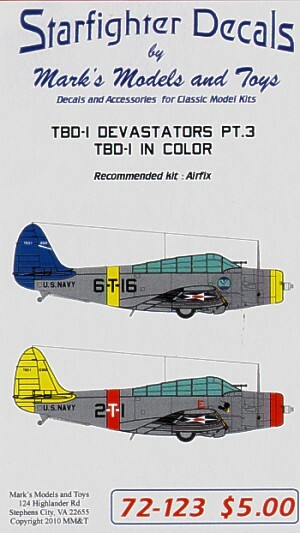 markings for F4F-3 Wildcats, Douglas SBD-3 Dauntless , and Douglas TBD-1 'Devastator' s included. 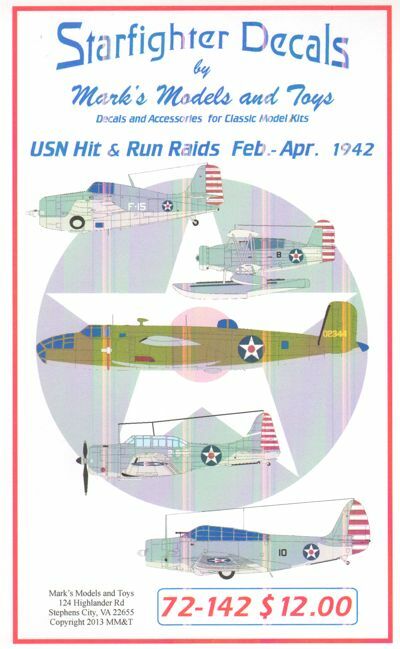 USN Hit and Run Raids Spring 1942. 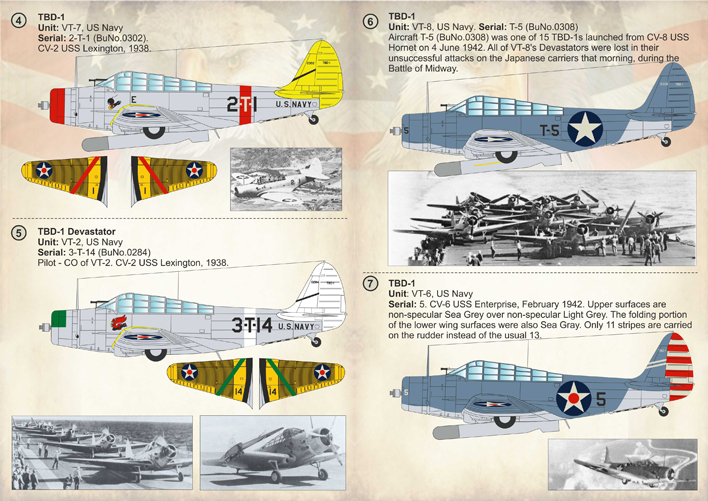 Continuing with the USN Themed decal sheets, this set covers the aircraft participating in the US Navy's Hit and Run raids between the Pearl Harbor attack and the Battle of Coral Sea. 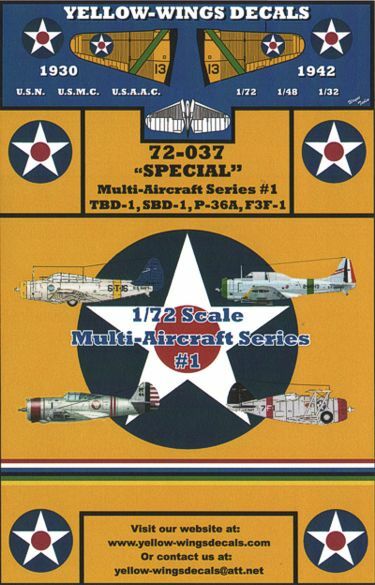 Sheet covers F4F-3 Wildcats, SBD-3 Dauntless , Douglas TBD-1 Devastators, SOC-1 Sea Gulls, and Jimmy Doolittle's B-25B.